God loves a child unconditionally. We see this in how Jesus stressed the importance of children, and how he obviously enjoyed their presence. We in Largs and Fairlie seek to have in our life together the same spirit of love and welcome for your family. Anyone! God loves us all, children, parents, seniors - without condition. Baptism is an expression of this, and more. For in baptism we respond to God's love. And for infants, parents are required to make a response by bringing your child up in the Christian faith. 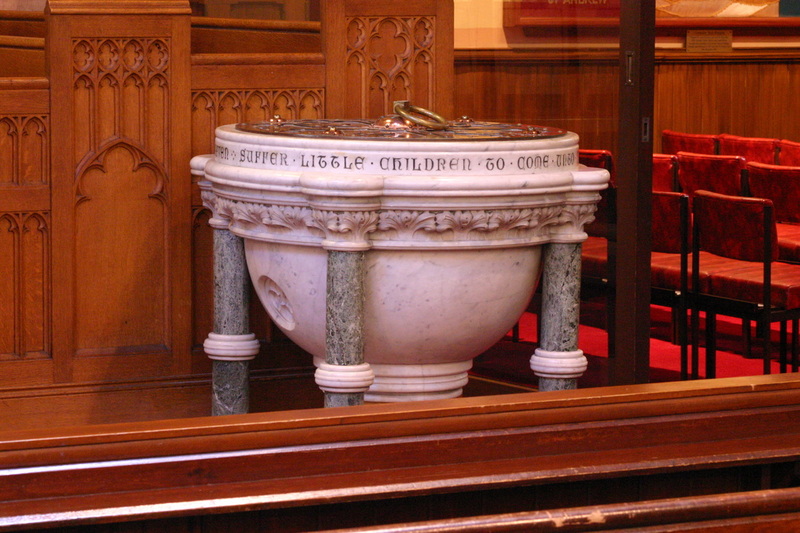 The churches of Largs St. Columba’s linked with Fairlie are here to help you do this, so talk to the minister. 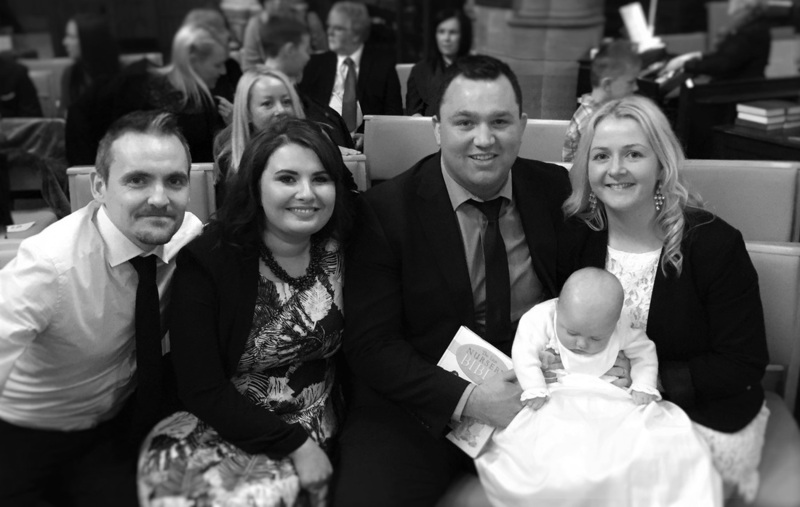 The Baptism of Emma Rachel Blair, photographed with her parents, Laura and Kenneth, and her godparents.